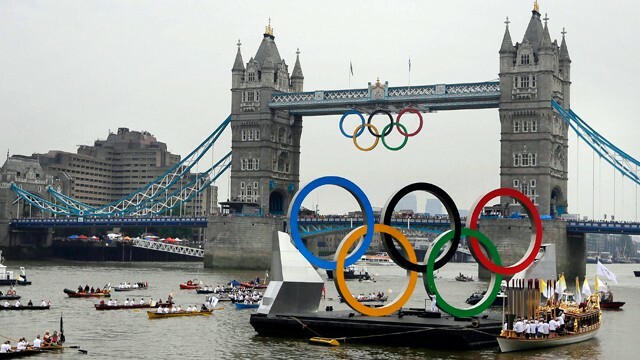 Twitter has revealed that the opening ceremony of the 2012 London Olympic Games generated more than 9.66 million tweets, as the first day of the event went on to rack up more tweets than the entire 2008 Olympics in Beijing. The chances are that if you logged in to Twitter during the spectacular scenes (yes James Bond escorted the Queen) then your timeline will have been flooded/entirely dominated by tweets from the show. It certainly was for me, and now Twitter has given an indication of the scale of things. It’s no surprise that the microblogging site was at the forefront of the discussion, and the US company has grown massively since Beijing. Back then it was a growing startup (that wasn’t yet blocked in China), but today Twitter sees a colossal 340 million tweets each day, a significant ratio of which will be Olympic-related over the next month or so. Clearly the comparison is not a fair one for comparing the popularity of the Beijing and London events, given the massive difference in Twitter’s adoption rates in 2008 and 2012, but it does clearly show the strides that the service has taken in the intervening period. Twitter didn’t reveal the size of the highest spike of tweets on Friday, but a tweet sent by Tim Berners-Lee while he was on stage received more than 10,000 retweets alone – giving some indication of the buzz. As well as providing a place for discussion and behind the scenes pics, Twitter has been the source of some early Olympic controversy. British politician Aidan Burley singled-handedly wrote headlines when he criticised the opening ceremony for being “leftie multi-cultural crap”. Burley later claimed that he had been misunderstood, and was referring to the organisation rather than show itself, but, nonetheless, the contents of his two tweets were widely reported by the media. The MP isn’t the first prominent figure to find themself in hot water for a 140 character message. Days before the opening ceremony, Greek athlete Voula Papachristou was removed from her country’s London-bound team after a joke she tweeted drew criticism for being racist. Read next: Ah, so this is where Heath Ledger found his inspiration for the Joker. Uncanny.